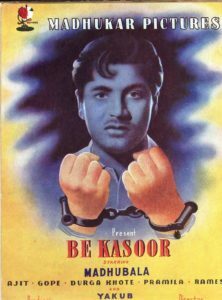 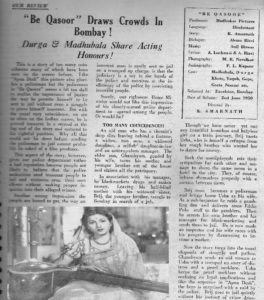 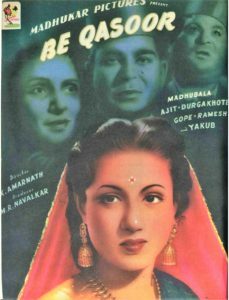 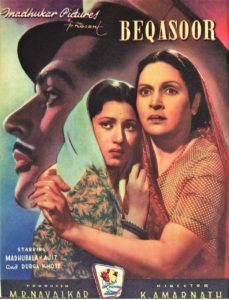 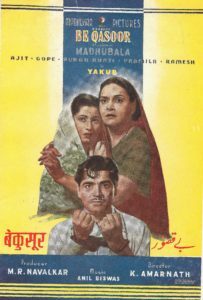 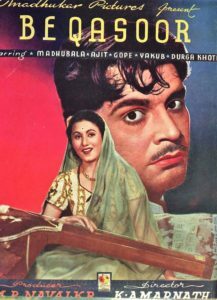 Beqasoor, a Family-Social Drama, was one of the highest grossing Indian films of 1950. 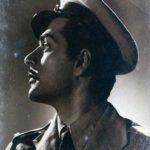 Ajit – K. Amarnath suggested that he change his long name of “Hamid Ali Khan” to something short like “Ajit”. 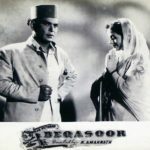 The first movie he starred in with his name changed to Ajit, was “Beqasoor” – this movie really catapulted him into the limelight and he never looked back. 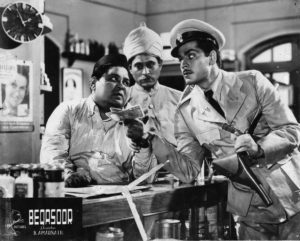 Ajit acted as a hero in 7 of the movies directed by K.Amarnath – Beqasoor, Meharbani, Sarkaar, Bara-Dari, Bada Bhai, Baraat and Kabli Khan. 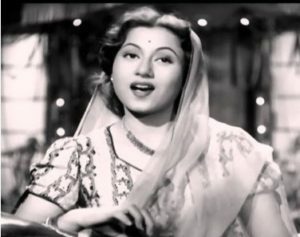 Madhubala acted in 2 of K.Amarnath’s movies – Beqasoor and Kal Hamara Hai.